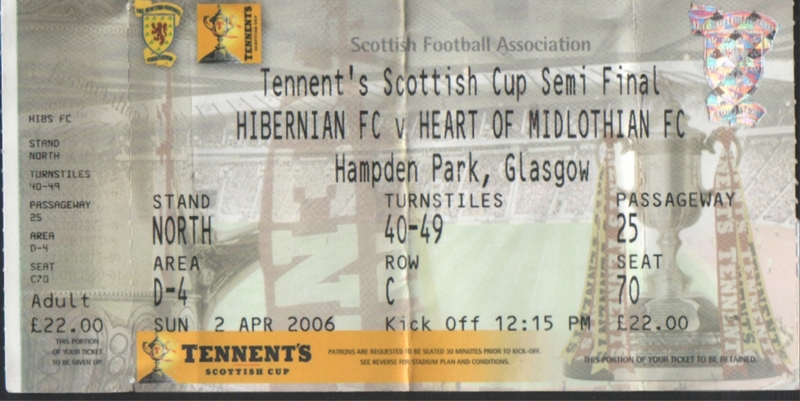 First Hearts v Hibs Scottish Cup semi-final since 1901. Paul Hartley scored a hat-trick, while Hibs had two players sent off. 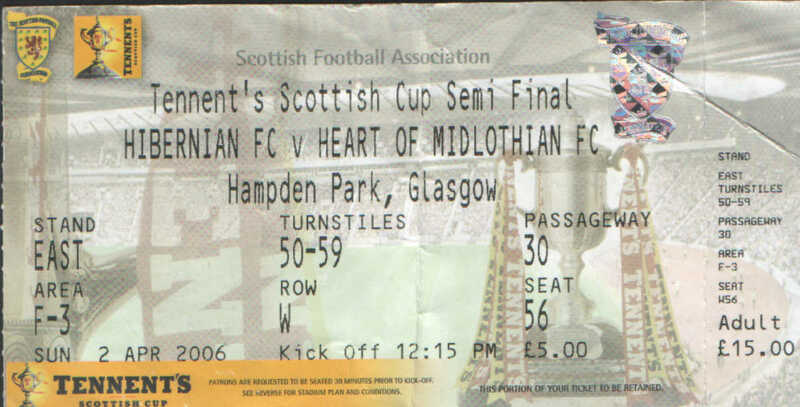 Hearts go on to win the Scottish Cup with a 4–2 win on penalties after a 1–1 draw with Gretna in the 2006 Scottish Cup Final.